This fashionable analogue ladies' watch from Fossil sports a black leather strap with a stainless steel case which compliments the mother of pearl face. This timepiece also has a 2 year manufacturer warranty. 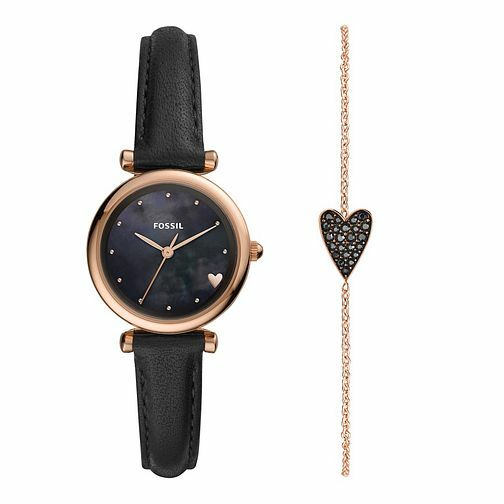 The rose gold plated chain bracelet, set with stunning black stones in a heart shape, makes for the perfect matching accessory.